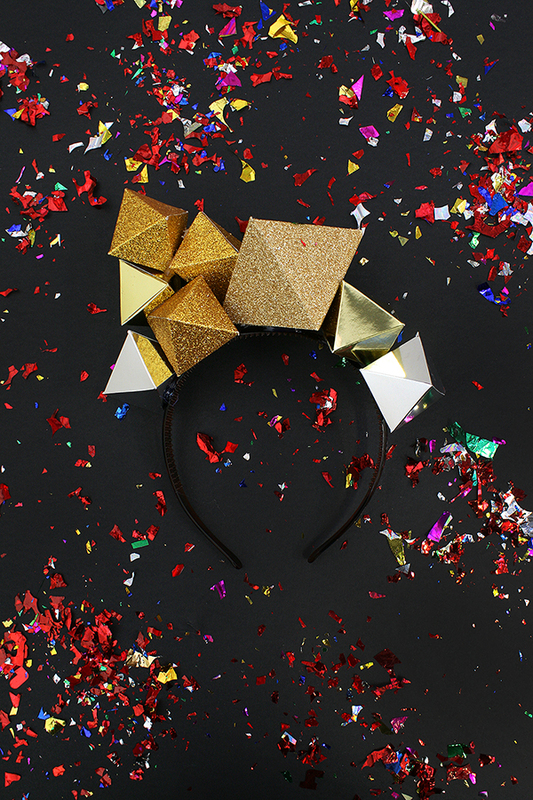 Here’s a fun and sparkly accessory that’s perfect for all of those upcoming holiday parties! I made mine out of various shades of gold paper – but it would be fun to experiment with different colors of the rainbow. 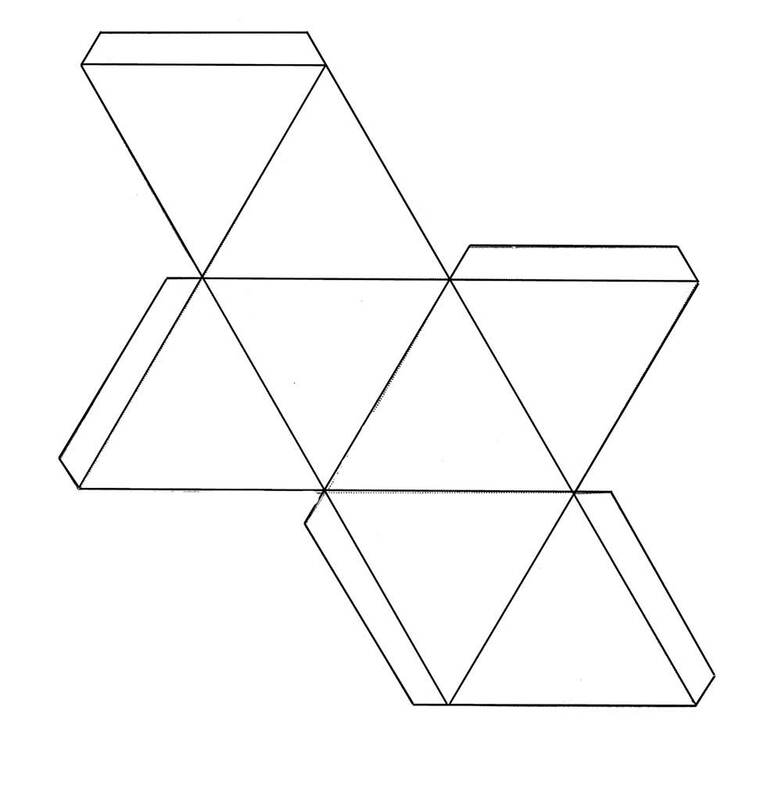 To start this easy project, use our template to make a bunch of paper gemstones. Then attach them a headband using hot glue. 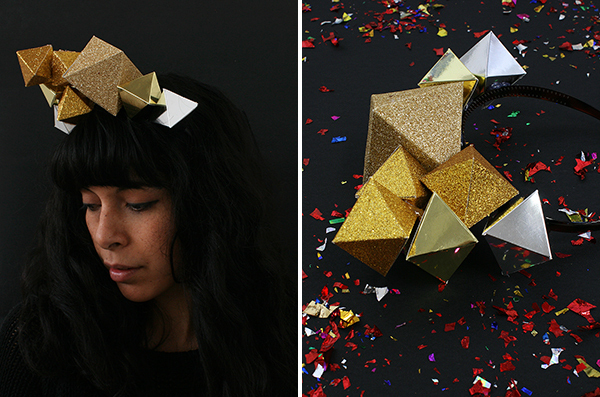 Voila – an easy and fun twist on the traditional party hat! Materials: An assortment of metallic cardstock, plastic headband, hot glue gun, double-sided tape, metal ruler, plastic ruler, gemstone template. Step 1: Print out the gemstone template. Use your printer or a photocopier to enlarge or decrease the size of the template so that you have a couple of different sized gems. You will need one larger one and 6 or 7 smaller ones. They can be as big or small as you want. Cut out the templates and trace around them onto metallic card. Cut them out and score along all the fold lines using a the corner of a plastic ruler. Step 2: Fold along the scored lines of each gemstone. Step 3: Use double-sided tape or hot glue to seal up each of the gemstones. Affix the adhesive to the tabs of the gemstone. Step 4: Put a dab of hot glue on the centre top of the headband and affix the largest gem. Be careful not to squeeze out too much glue, the aim is for there to be hardly any glue visible. Step 5: Using hot glue, stick 2 of the smaller gems on either side of the large one. Change up the positions of each gem so that they are pointing in different directions. Step 6: One one side of the headband, glue gemstones up on top of the existing ones to create height. 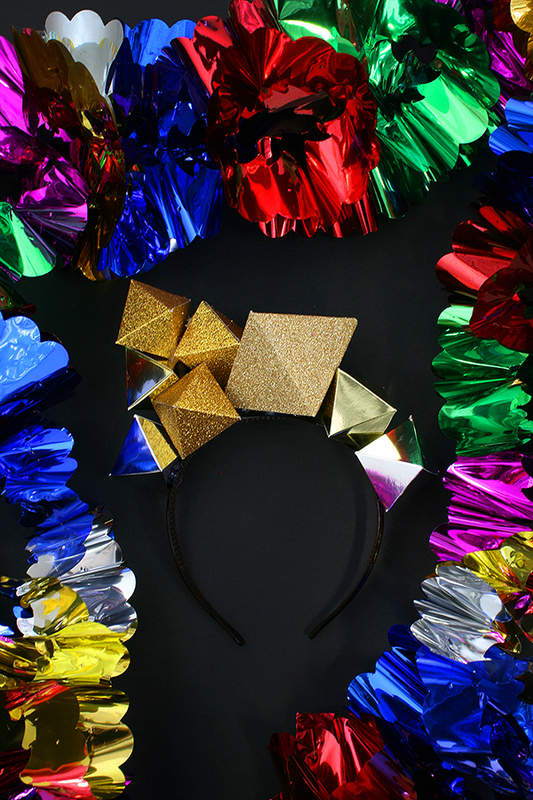 Wear your glamorous headband! I LOVE this idea. Definitely want to do this for New Years Eve! That’s what I was thinking, Kathleen – perfect for NYE! I love, love, love this! Here’s how you can tell I’m a big nerd: I looked at those and instantly saw 8-sided dice! Seriously though, I do think it’s pretty cool. I agree that it’s great for New Year’s Eve, especially if you’re using gold paper like that. I think it would look great with a champagne glass! Wow, I love this! Good enough for a wedding crown! Imagine using real diamonds glitters on it!! !